By attaching the arthroscope to a miniature television camera, the surgeon is able to see the interior of the joint through this very small incision rather than a large incision needed for surgery. A small incision (about the size of a buttonhole) will be made to insert the arthroscope. Several other incisions may be made to see other parts of the joint or insert other instruments. 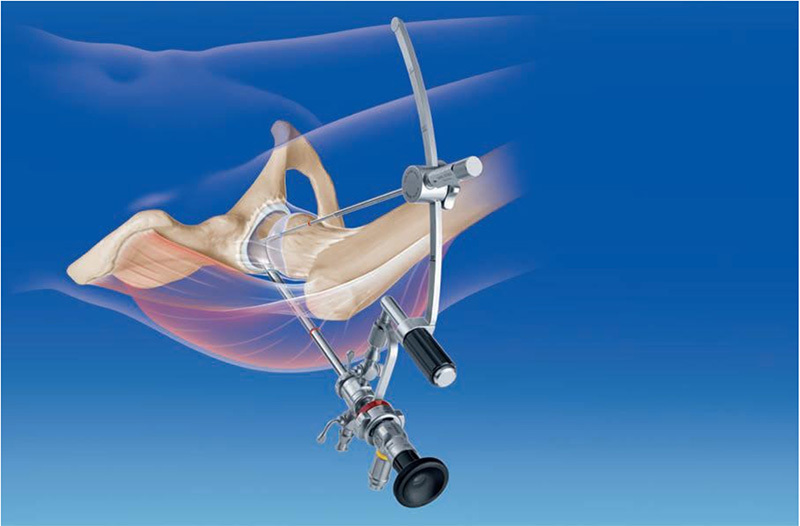 The television camera attached to the arthroscope displays the image of the joint on a television screen, allowing the surgeon to look throughout the joint. This lets the surgeon see the cartilage, tendons, ligaments, and other anatomical structures as mensici, synovial layer, labrum’s fibrocarlilage and some neurovascular structures. The surgeon can determine the amount or type of injury and then repair or correct the problem, if it is necessary. Through the arthroscope, a final diagnosis is made, which may be more accurate than through «open» surgery or from X-ray studies. Disease and injuries can damage bones, cartilage, ligaments, muscles, and tendons. -Shoulder: Rotator cuff tendon tears, impingement syndrome, and recurrent dislocations. -Knee: Meniscal and cartilage tears, chondromalacia (wearing or injury of cartilage cushion), and cruciate ligament tears with instability. -Wrist: Carpal tunnel syndrome, triangular fibrocartilage lesions, carpal ligament lesions associated with instability. -Ankle: osteochondral and ligament lesions. -Hip: cartilage lesions, femoral-acetabular impingements, labral lesions. -Elbow: fractures, chondral lesions, stiffness, instability. -Loose bodies of bone and/or cartilage: for example, knee, shoulder, elbow, ankle, or wrist. As advances are made in technology and new techniques are developed by orthopaedic surgeons, other joints may be treated more frequently in the future. Arthroscopic surgery, although much easier in terms of recovery than «open» surgery, still requires the use of anesthetics and the special equipment in a hospital operating room or outpatient surgical suite. You will be given a general, spinal, or a local anesthetic, depending on the joint or suspected problem. Before being discharged, you will be given instructions about care for your incisions, what activities you should avoid, and which exercises you should do to aid your recovery. During the follow-up visit, the surgeon will inspect your incisions; remove sutures, if present; and discuss your rehabilitation program: A specific activity and rehabilitation program may be suggested to speed your recover and protect future joint function. The amount of surgery required and recovery time will depend on the complexity of your problem. Occasionally, during arthroscopy, the surgeon may discover that the injury or disease cannot be treated adequately with arthroscopy alone. The extensive «open» surgery may be performed while you are still anesthetized, or at a later date after you have discussed the findings with your surgeon. Although arthroscopic surgery has received a lot of public attention because it is used to treat well-known athletes, it is an extremely valuable tool for all orthopaedic patients and is generally easier on the patient than «open» surgery. Most patients have their arthroscopic surgery as outpatients and are home several hours after the surgery. Remember that people who have arthroscopy can have many different diagnoses and preexisting conditions, so each patient’s arthroscopic surgery is unique to that person. Recovery time will reflect that individuality. Though great progress has been made in medicine, current evidence-based and palliative treatments are increasingly unable to keep pace with patients’ needs, especially given our aging population. There are few effective ways to treat the root causes of many diseases, injuries and congenital conditions. In many cases, clinicians can only manage patients’ symptoms using medications or devices.Regenerative medicine is a changing area of medicine with the potential to fully heal damaged tissues and organs, offering solutions and hope for people who have conditions that today are beyond repair. Regenerative medicine itself isn’t new, but advances in developmental and cell biology, immunology, and other fields have unlocked new opportunities to refine existing regenerative therapies and develop novel ones. Rejuvenation means boosting the body’s natural ability to heal itself. Though after a cut your skin heals within a few days, other organs don’t repair themselves as readily. But cells in the body once thought to be no longer able to divide (terminally differentiated) — including the highly specialized cells constituting the bones, muscles and nerves — have been shown to be able to remodel and possess some ability to self-heal. Regeneration involves delivering specific types of cells or cell products to diseased tissues or organs, where they will ultimately restore tissue and organ function. This can be done through cell-based therapy or by using cell products, such as growth factors. Bone marrow transplants are an example. 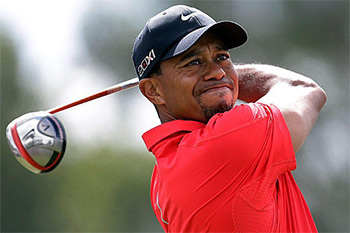 During the past several years, much has been written about a preparation called platelet-rich plasma (PRP) and its potential effectiveness in the treatment of injuries.Many famous athletes — Tiger Woods, tennis star Rafael Nadal, and several others — have received PRP for various problems, such as sprained knees and chronic tendon injuries. These types of conditions have typically been treated with medications, physical therapy, or even surgery. 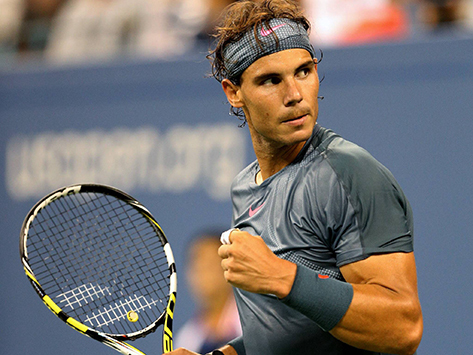 Some athletes have credited PRP with their being able to return more quickly to competition. To develop a PRP preparation, blood must first be drawn from a patient. The platelets are separated from other blood cells and their concentration is increased during a process called centrifugation. Laboratory studies have shown that the increased concentration of growth factors in PRP can potentially speed up the healing process. PRP can be carefully injected into the injured area. For example, in Achilles tendonitis, a condition commonly seen in runners, the heel cord can become swollen, inflamed, and painful. A mixture of PRP and local anesthetic can be injected directly into this inflamed tissue. The pain at the area of injection may actually increase for the first week or two, and it may be several weeks before the patient feels a beneficial effect. PRP may also be used treating the injured area with PRP during surgery to improve healing after surgery for some injuries (for example, an athlete with a completely torn supraespinatus may require surgery to repair the tendon). Healing of the torn tendon can possibly be improved. According to the research studies currently reported, PRP is most effective in the treatment of chronic tendon injuries, especially tennis elbow, a very common injury of the tendons on the outside of the elbow. The use of PRP for other chronic tendon injuries — such as chronic Achilles tendonitis or inflammation of the patellar tendon at the knee (jumper’s knee) is promising. PRP has been used to treat professional athletes with common sports injuries like pulled hamstring muscles in the thigh and knee sprains. Some initial research is being done to evaluate the effectiveness of PRP in the treatment of the arthritic knee with promising results. The risks associated with PRP tratments are minimal: There may be increased pain at the injection site, but the incidence of other problems — infection, tissue damage, nerve injuries — appears to be no different from that associated with cortisone injections. Stem cells are basic human cells that have potential to give rise to many different cell types in the body. They are simple or undifferentiated cells.Stem cells help to create new cells in existing healthy tissues and may help to repair tissues in those structures that are injured or damaged. They are the basis for the specific cell types that makes up each organ in the body. When stem cells divide they create progenitor cells. Unlike stem cells, progenitor cells can become cells with more specialized functions, components of specialized tissue such as bone or cartilage. Orthopaedic surgeons have focused our attention on mesenchymal stem cells. 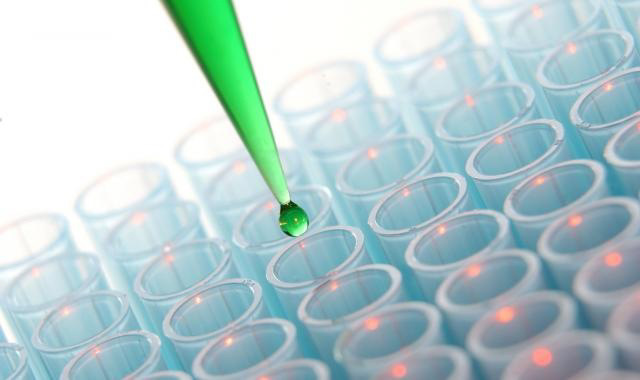 Unlike embryonal stem cells, mesenchymal stem cells are obtained from living adult tissue. Stem cell procedures are being used for treating bone fractures and nonunions, regenerating articular cartilage in arthritic joints, healing ligaments or tendons, and replacing degenerative vertebral disks. It is expected, however, that as more knowledge of tissue engineering is obtained, stem cell procedures will become more common. In its early stages, arthritis of the knee is treated with nonsurgical methods. Some of the more common options include changes in activity level, pain relievers such as acetaminophen or nonsteroidal anti-inflammatory drugs (NSAIDs) like ibuprofen, as well as physical therapy, and corticosteroid injections. Viscosupplementation has been shown to relieve pain in many patients who have not responded to other nonsurgical methods.In this procedure, a gel-like fluid called hyaluronic acid is injected into the knee joint. Hyaluronic acid is a naturally occurring substance found in the synovial (joint) fluid. It acts as a lubricant to enable bones to move smoothly over each other and as a shock absorber for joint loads. People with osteoarthritis have a lower-than-normal concentration of hyaluronic acid in their joints. 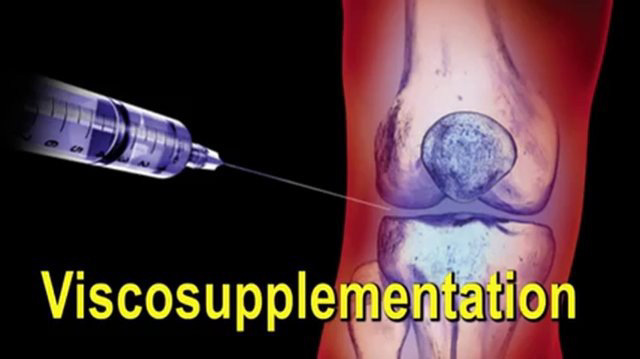 Viscosupplementation may be a therapeutic option for individuals with osteoarthritis of the knee. -Immediate Effects Hyaluronic acid does not have an immediate pain-relieving effect. Infection, allergies and bleeding are also very rare complications of this procedure. 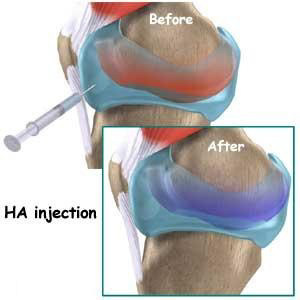 Over the course of the injections, you may notice that you have less pain in your knee. Hyaluronic acid does seem to have anti-inflammatory and pain-relieving properties. Viscosupplementation may be effective in relieving the symptoms of arthritis, but has never been shown to reverse the arthritic process or re-grow cartilage. Although it has shown a»protective» effect in knee osteoarthritis, slowling down the progression of osteoarthritis showed by x-rays. During the procedure, if there is an excess of sinovial liquid in your knee, your doctor may remove the excess fluids before injecting the hyaluronic acid. Usually, this can be done at the same time, and a Cortisone injection could be added to avoid early swelling. With High molecular weigt Hyalurocic Acid, recently developed, you will receive only one injection per 6 to 12 months, if the injections are effective. Viscosupplementation is most effective if the arthritis is in its early stages (mild to moderate). Some patients may feel pain at the injection site, and occasionally the injections result in increased swelling. It may take several weeks to notice an improvement after viscosupplementation. Not all patients will have relief of pain. If your knee is severely damaged by arthritis or injury, it may be hard for you to perform simple activities, such as walking or climbing stairs. You may even begin to feel pain while you are sitting or lying down.If nonsurgical treatments like medications and using walking supports are no longer helpful, you may want to consider total knee replacement surgery. Joint replacement surgery is a safe and effective procedure to relieve pain, correct leg deformity, and help you resume normal activities.! -A knee that has become bowed as a result of severe arthritis. -Severe knee pain or stiffness that limits your everyday activities, including walking, climbing stairs, and getting in and out of chairs. -Moderate or severe knee pain while resting, either day or night. -Failure to substantially improve with other treatments such as anti-inflammatory medications, cortisone injections, hyaluronic or PRP injections, physical therapy, or other surgeries. 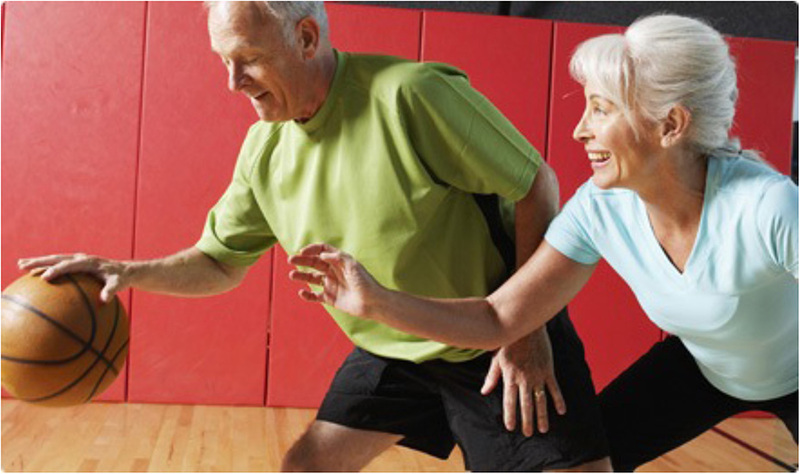 There are no absolute age or weight restrictions for total knee replacement surgery. (Recommendations for surgery are based on a patient’s pain and disability, not age). -Osteoarthritis. This is an age-related «wear and tear» type of arthritis. It usually occurs in people 50 years of age and older, but may occur in younger people, too. The cartilage that cushions the bones of the knee softens and wears away. The bones then rub against one another, causing knee pain and stiffness. Bone spurs are a common feature of this form of arthritis. -Post-traumatic arthritis. This can follow a serious knee injury. Fractures of the bones surrounding the knee or tears of the knee ligaments may damage the articular cartilage over time, causing knee pain and limiting knee function. A knee replacement (also called knee arthroplasty) might be more accurately termed a knee «resurfacing» because only the surface of the bones are actually replaced. Under spinal anesthesia, which is now commonly used for this type of operation, you will remain awake but sedated during the procedure. Medication will be instilled in the area of your spinal column to keep the lower half of your body numb. In either method of anesthesia, a catheter will be inserted in your bladder to collect your urine. Most surgeries take about 2-4 hours. Your surgeon will begin by making an incision across the affected knee. -Prepare the bone. The damaged cartilage surfaces at the ends of the femur and tibia are removed along with a small amount of underlying bone. -Position the metal implants. The removed cartilage and bone is replaced with metal components that recreate the surface of the joint. These metal parts may be cemented or «press-fit» into the bone. -Resurface the patella. The undersurface of the patella (kneecap) is cut and resurfaced with a plastic button. Some surgeons do not resurface the patella, depending upon the case. -Insert a spacer. A medical-grade plastic spacer (high density polyethylene) is inserted between the metal components to create a smooth gliding surface. -To finish the procedure, your surgeon will close the incision with stitches or staples and leave a drain in the knee to allow extra fluid to flow out. After surgery, you will be moved to the recovery room, where you will remain for several hours while your recovery from anesthesia is monitored. After you wake up, you will be taken to your hospital room. You will most likely stay in the hospital for several days. After surgery, you will feel some pain, but your surgeon and nurses will provide medication to make you feel as comfortable as possible. Pain management is an important part of your recovery. Walking and knee movement will begin soon after surgery, and when you feel less pain, you can start moving sooner and get your strength back more quickly. More than 90% of people who have total knee replacement surgery experience a dramatic reduction of knee pain and a significant improvement in the ability to perform common activities of daily living. But total knee replacement will not allow you to do more than you could before you developed arthritis. You should be able to resume most normal activities of daily living within 3 to 6 weeks following surgery. Some pain with activity and at night is common for several weeks after surgery. With normal use and activity, every knee replacement implant begins to wear in its plastic spacer. Excessive activity or weight may speed up this normal wear and may cause the knee replacement to loosen and become painful. Therefore, most surgeons advise against high-impact activities such as running, jumping, or other high-impact sports for the rest of your life after surgery. 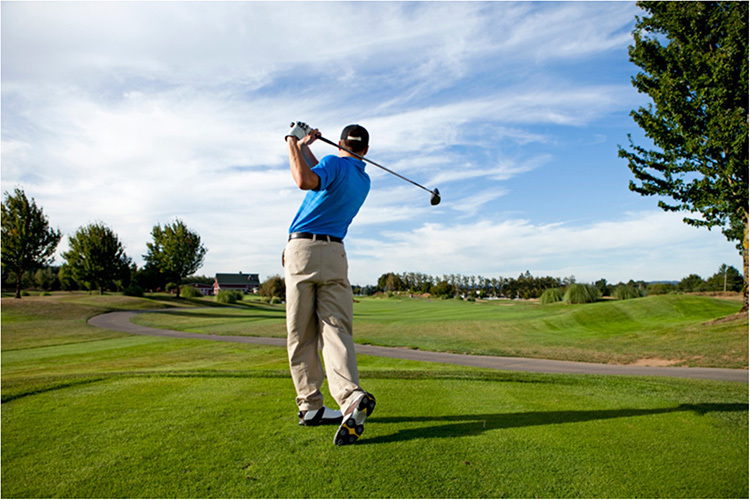 Anyway,recommneded activities following total knee replacement include unlimited walking, swimming, golf, driving, light hiking, biking, ballroom dancing, and other low-impact sports. Possible Complications of Surgery: ( Discuss your concerns thoroughly with your orthopaedic surgeon prior to surgery). The complication rate following total knee replacement is low. Serious complications, such as a knee joint infection, occur in fewer than 2% of patients. Major medical complications such as blood clots occur even less frequently. Chronic illnesses may increase the potential for complications. Although uncommon, when these complications occur, they can prolong or limit full recovery. Implant problems:Although implant designs and materials, as well as surgical techniques, continue to advance, eventually implant surfaces may wear down and the components may loosen. With appropriate activity modification, knee replacements can last for many years. Range of motion limitations: although an average of 115° of motion in flexion is generally achieved after surgery (with specially designed components), scarring of the knee can occasionally occur, and motion may be more limited, particularly in patients with limited motion before surgery. Several tests, such as chest x-rays, blood and urine samples, and an electrocardiogram, may be needed to help your orthopaedic surgeon plan your surgery. Tell your orthopaedic surgeon about the medications you are taking. He will tell you which medications you should stop taking and which you should continue to take before surgery. Important! : You must report any allergic reaction to any medication. If you live alone, it is recommended to have someone who assist you at home. You will have to do specific exercises several times a day to restore movement and strengthen your knee. You probably will be able to perform the exercises without help, but you may have a physical therapist help you at home or in a therapy center the first few weeks after surgery. The physical therapist will teach you specific exercises to strengthen your leg and restore knee movement to allow walking and other normal daily activities soon after your surgery. A temporary living space on the same floor because walking up or down stairs will be more difficult during your early recovery. -NHS Patients Information Guides (Royal National Orthopaedic Hospital). 2014. -Total Knee Replacement. American Association of Orthopaedic Surgeons. Available at: http://orthoinfo.aaos.org/booklet/thr report.cfm?thread id=9&topcategory=knee. 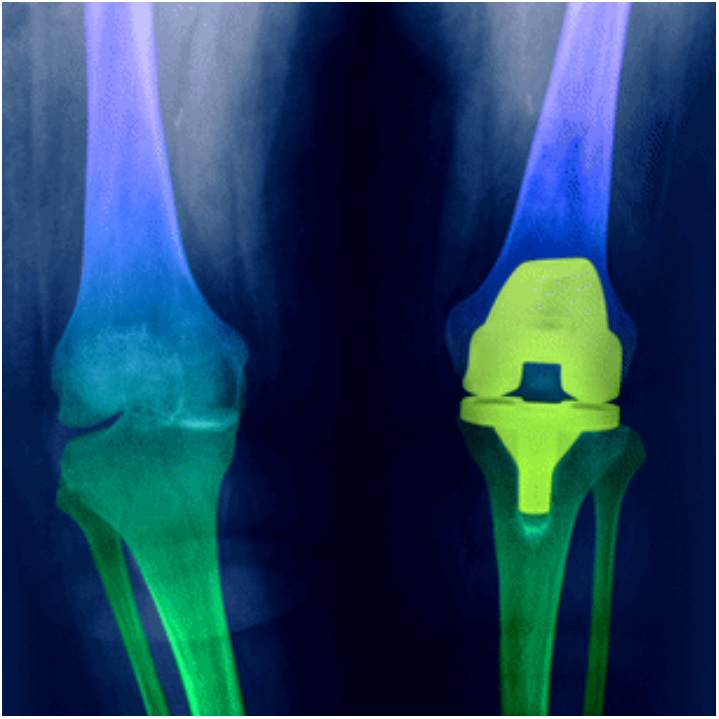 -Medical Encyclopedia: Knee joint replacement. Medline Plus. National Institutes of Health. Available at: http://www.nlm.gov/medlineplus/ency/article/002974.htm. -Total Knee Replacement. Queensland Government. Available at: http://www.health.qld.gov.au/informedconsent/ConsentForms/Ortho/total_knee_arthroplasty.pdf. -Total Knee Replacement: A Patient Guide. University of Iowa Department of Orthopedics. Available at: http://www.vh.org/adult/patient/orthopaedics/kneereplacements. The hip joint is made up of two main parts: the femur, which is your thigh bone, and the pelvis, which is your hip bone. The femoral head at the top of the femur fits right into the acetabulum, a cup-shaped bone in your pelvis. Cartilage between the femoral head and acetabulum provides cushioning between the bones and allows for smooth movement. -Osteoarthritis. This is an age-related «wear and tear» type of arthritis. It usually occurs in people 50 years of age and older and often in individuals with a family history of arthritis. The cartilage cushioning the bones of the hip wears away. The bones then rub against each other, causing hip pain and stiffness. Osteoarthritis may also be caused or accelerated by subtle irregularities in how the hip developed in childhood. -Post-traumatic arthritis. This can follow a serious hip injury or fracture. The cartilage may become damaged and lead to hip pain and stiffness over time. -Avascular necrosis. An injury to the hip, such as a dislocation or fracture, may limit the blood supply to the femoral head. This is called avascular necrosis. The lack of blood may cause the surface of the bone to collapse, and arthritis will result. Some diseases can also cause avascular necrosis. -Childhood hip disease. Some infants and children have hip problems. Even though the problems are successfully treated during childhood, they may still cause arthritis later on in life. This happens because the hip may not grow normally, and the joint surfaces are affected. 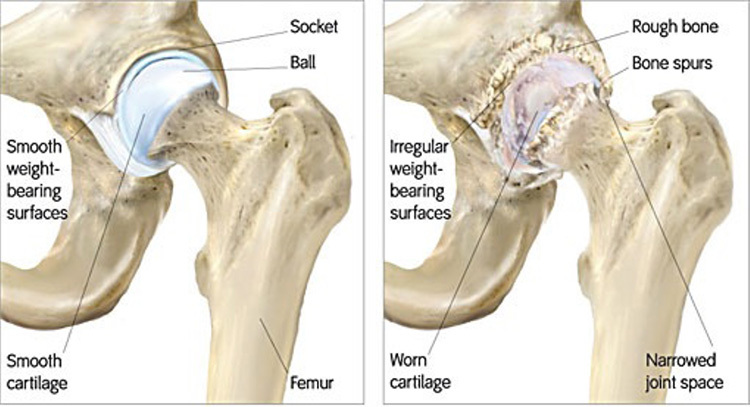 The damaged femoral head is removed and replaced with a metal stem that is placed into the hollow center of the femur. The femoral stem may be either cemented or «press fit» into the bone. Treatments for arthritis of the hip joint depend on the cause and the severity of the arthritis. The first line of treatment should always consist of non-surgical methods, including: if needed, weight loss to reduce ongoing stress on the joint, physical therapy, or other prescribed exercises that strengthen the muscles supporting the hip joint, walking aides. To relieve pain and inflammation, many people find relief with: pain medications such as acetaminophen, non-steroidal anti-inflammatory medications, such as aspirin, ibuprofen, or a prescription brand, corticosteroid injections, which can reduce inflammation, but can weaken the bones if used too often. If non-surgical methods are unsuccessful, a total hip replacement may be considered. A total hip replacement is generally performed when damage to the hip causes so much pain and stiffness that it limits normal activities. There are no absolute age or weight restrictions for total hip replacements. Recommendations for surgery are based on a patient’s pain and disability, not age. Most patients who undergo total hip replacement are age 50 to 80, but orthopaedic surgeons evaluate patients individually. Total hip replacements have been performed successfully at all ages, from the young teenager with juvenile arthritis to the elderly patient with degenerative arthritis. With normal use and activity, the material between the head and the socket of every hip replacement implant begins to wear. Excessive activity or being overweight may speed up this normal wear and cause the hip replacement to loosen and become painful. Therefore, most surgeons advise against high-impact activities such as running, jogging, jumping, or other high-impact sports. (Lately, theese recommendations are changing, and some studies are showing excellent long-term results with moderate impact activities, as long distance runs). Tell your orthopaedic surgeon about the medications you are taking. He or your primary care doctor will advise you which medications you should stop taking and which you can continue to take before surgery. Report any allergic reaction to any medication. A dressing stick, a sock aid, and a long-handled shoe horn for putting on and taking off shoes and socks without excessively bending your new hip A reacher that will allow you to grab objects without excessive bending of your hips. Your orthopaedic surgeon will choose the type of prosthesis that best meets your needs. Many different types of designs and materials are currently used in artificial hip joints. All of them consist of two basic components: the ball component (made of highly polished strong metal or ceramic material) and the socket component (a durable cup of plastic, ceramic or metal, which may have an outer metal shell). The prosthetic components may be «press fit» into the bone to allow your bone to grow onto the components or they may be cemented into place. The decision to press fit or to cement the components is based on a number of factors, such as the quality and strength of your bone. A combination of a cemented stem and a non-cemented socket may also be used. To finish the procedure, your surgeon will close the incision with stitches or staples and leave a drain in the knee to allow extra fluid to flow out. X-rays are used before and after (and, sometimes, along the surgery) total hip replacement. After surgery, you will be moved to the recovery room where you will remain for several hours while your recovery from anesthesia is monitored. After your procedure, your breathing tube will be removed and you will be taken to a recovery area for monitoring. After you wake up, you will be taken to your hospital room. You will most likely stay in the hospital for a few days. To protect your hip during early recovery, a positioning splint, such as a foam pillow placed between your legs, may be used. The usual hospital stay is 3-6 days. While in the hospital: you will be given pain medication. You will continue to receive IV antibiotics and will be given a blood thinner to help prevent blood clots. Depending on the amount of blood lost during your surgery, you may receive a blood transfusion. Any surgical drains will be removed. After surgery, you will feel some pain, but your surgeon and nurses will provide medication to make you feel as comfortable as possible. Pain management is an important part of your recovery. Movement will begin soon after surgery, and when you feel less pain, you can start moving sooner and get your strength back more quickly. Talk with your surgeon if postoperative pain becomes a problem. 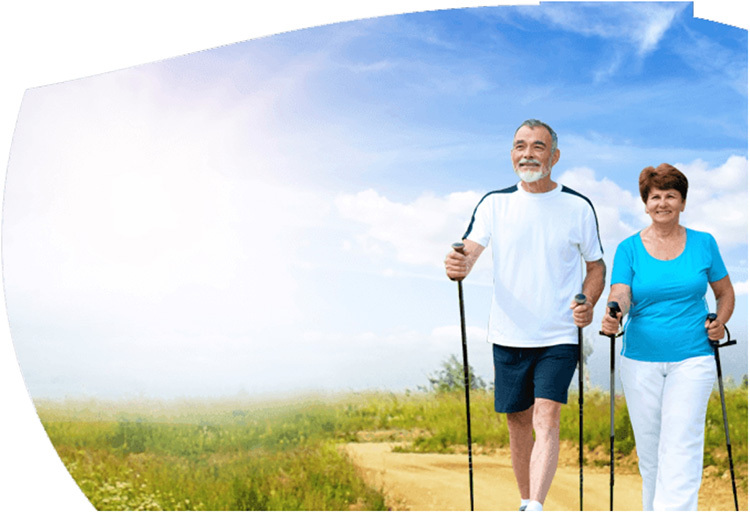 Walking and light activity are important to your recovery and will begin the day of or the day after your surgery. Most patients who undergo total hip replacement begin standing and walking with the help of a walking support the day after surgery. The success of your surgery will depend in large measure on how well you follow your orthopaedic surgeon’s instructions regarding home care during the first few weeks after surgery. The physical therapist will teach you specific exercises to strengthen your hip and restore movement for walking and other normal daily activities. Resuming other normal household activities, such as sitting, standing, and climbing stairs. Specific exercises several times a day to restore movement and strengthen your hip. You probably will be able to perform the exercises without help, but you may have a physical therapist help you at home or in a therapy center the first few weeks after surgery. 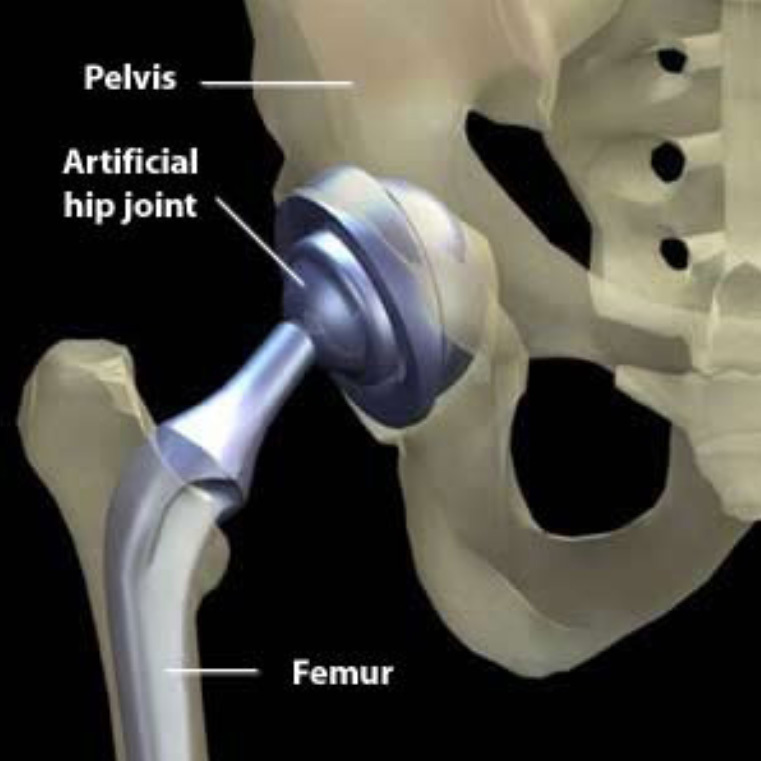 -The complication rate following hip replacement surgery is low. Serious complications, such as joint infection, occur in less than 2% of patients. Major medical complications, such as thrombosys, occur even less frequently. However, chronic illnesses may increase the potential for complications. Although uncommon, when these complications occur they can prolong or limit full recovery. This occurs when the ball comes out of the socket. The risk for dislocation is greatest in the first few months after surgery while the tissues are healing. Dislocation is uncommon. If the ball does come out of the socket, a closed reduction usually can put it back into place without the need for more surgery. In situations in which the hip continues to dislocate, further surgery may be necessary. Once you are home, be sure to contact your doctor if you experience: signs of infection such as fever and chills, increasing redness, swelling, or pain at the site of the surgery, bleeding or discharge from the wound, cough, shortness of breath, or chest pain, blood in the urine or stool, pain, burning, urgency, or frequency of urination, persistent nausea and/ or vomiting, pain and/or swelling in your feet, calves, or legs. Following your surgery, you may need to take antibiotics prior to dental work, including dental cleanings, or any surgical procedure that could allow bacteria to enter your bloodstream. For many people with joint replacements and normal immune systems, the American Academy of Orthopaedic Surgeons (AAOS) recommends taking preventative antibiotics before dental work. -A patient’s guide to total hip replacement surgery. Health Pages.org. Available at: http:// www.healthpages.org/ahp/library/hlthtop/thp/index.htm. -Arthritis. Medical Encyclopedia. Medline Plus. National Institutes of Health. Available at: http://www.nlm.nih.gov/medlineplus/ency/article/001243.htm. -Hip Implants. American Academy of Orthopaedic Surgeons. Available at: http:// orthoinfo.aaos.org/fact/thr_report.cfm?Thread_ID=271&topcategory=Hip. -Hip Joint Replacement. Medical Encyclopedia. Medline Plus. Available at: http:// www.nlm.nih.gov/medlineplus/ency/article/002975.htm. -Total Hip Replacement: A Guide for Patients. University of Iowa Department of Orthopaedics. Available at: http://www.vh.org/adult/patient/orthopaedics/hipreplace. -Total Hip Replacement. Queensland Government. Available at: http:// www.health.qld.gov.au/informedconsent/ConsentForms/Ortho/total_hip_arthroplasty.pdf. 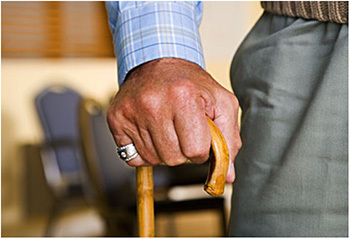 -Questions and Answers About Hip Replacement. National Institute of Arthritis and Musculoskeletal and Skin Diseases. National Institutes of Health. Available at: http:// www.niams.nih.gov/hi/topics/hip/hiprepqa.htm. Accessed July 1, 2004. Do not let anything stop you!